One of Dr. Neil Zemmel’s main goals during the breast augmentation consultation process is to give his patients an idea of what their final results may look like after the procedure. 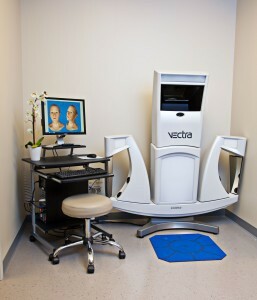 In addition to viewing a gallery of before-and-after photos of actual patients and physically trying on different implant options, the patients of Richmond Aesthetic Surgery have the advantage of being able to see a virtual “preview” of their results using an innovative tool called VECTRA® 3D Imaging. This new technology allows patients to view potential results of their breast augmentation or breast lift using their own unique body dimensions as the initial model. After discussing your individual goals and cosmetic concerns with Dr. Zemmel, he will make recommendations regarding important choices such as implant type, size, shape, and incision location. To help you make well-educated decisions, the VECTRA® 3D Imaging system creates a simulation of your unique body dimensions and allows Dr. Zemmel to manipulate the computer-generated image to reflect the ways in which different breast augmentation options might look after surgery. These images can also be rotated, allowing you to view your potential results from a variety of angles. Though the VECTRA® 3D Imaging system is not intended to create precise predictions of your surgical outcomes, the images produced can be a useful frame of reference when deciding which breast augmentation approach might best achieve your personal aesthetic goals. In addition, these images facilitate clear doctor-patient communication between you and Dr. Zemmel to help ensure you have the same expectations about your breast augmentation results. To learn more about how the VECTRA® 3D Imaging system can assist you in obtaining your aesthetic goals, or to schedule a breast augmentation consultation, please contact our office today. Which Type of Breast Implant Is Best for Me?